John holds a Bachelor of Commerce with a double major in Accounting and Finance from Curtin University of Technology in Western Australia. 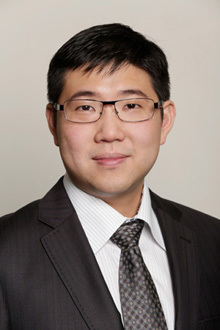 He was awarded a Master of Taxation in 2009. Thereafter, he joined KPMG in Malaysia as an auditor where he received considerable experience in dealing with complex accounting and taxation issues. John joined Robertson Hayles Lawyers in 2014. He manages the finance department and assists the Directors with financial management, accounting and taxation matters. John’s auditing experience and efficient management provides for smooth accounting of client’s matters and ensures that the trust account is operated in accordance with the Legal Profession Act and its regulations. John is a CPA Associate. He is also an accredited Tax Help Volunteer providing assistance to taxpayers on low income to complete tax returns under the ATO Tax Help Program. For all enquiries, please contact John on (08) 9325 1700 or email him at accounts@robertsonhayles.com.